The new Hall Of Fame 2 Reverb delivers the iconic tone of the original plus powerful new features. 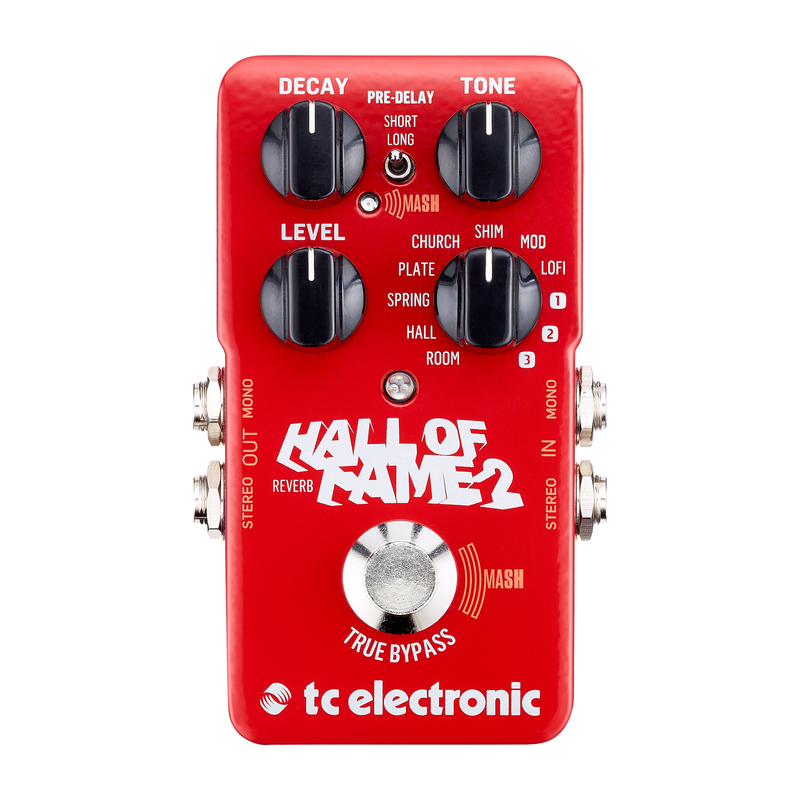 With 3 TonePrints and 8 different reverb types including the new "Shimmer", Hall of Fame 2 brings a wide range of tonal possibilities right out of the box. 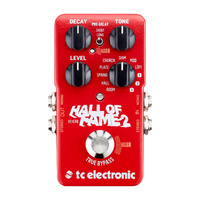 The new Hall Of Fame 2 Reverb delivers the iconic tone of the original plus powerful new features. With 3 TonePrint slots and 8 different reverb types including the new "Shimmer", Hall of Fame 2 brings a wide range of tonal possibilities right out of the box. Textural shaping and ambient space will only be limited by imagination. The Hall of Fame features 8 different reverbs types and 3 slots for customisable TonePrints (user edited presets). These reverbs are Room, Hall, Spring, Plate, Church, Shimmer, Modulated, and LOFI. The pedal also includes a Short or Long Pre-Delay option. 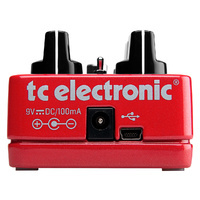 TC Electronic have reimagined the form and function of the basic footswitch. The new MASH is essential a tiny, highly responsive expression pedal built into the chassis of the stomp box. MASH reacts to the amount of pressure you put on the switch - the harder you press, the more intense the effect. For each reverb type, MASH will control a different parameter, letting you express yourself without having to bend down and turn knobs and without a dedicated expression pedal. For example, you could use MASH to conjure up liquid swells of reverb while keeping both your hands on the guitar, or using the Mod setting you can MASH the amount of chorus on the reverb tail. The new Shimmer reverb algorithm lends a mercurial touch to your playing by adding an octave pitch shift to your signal. 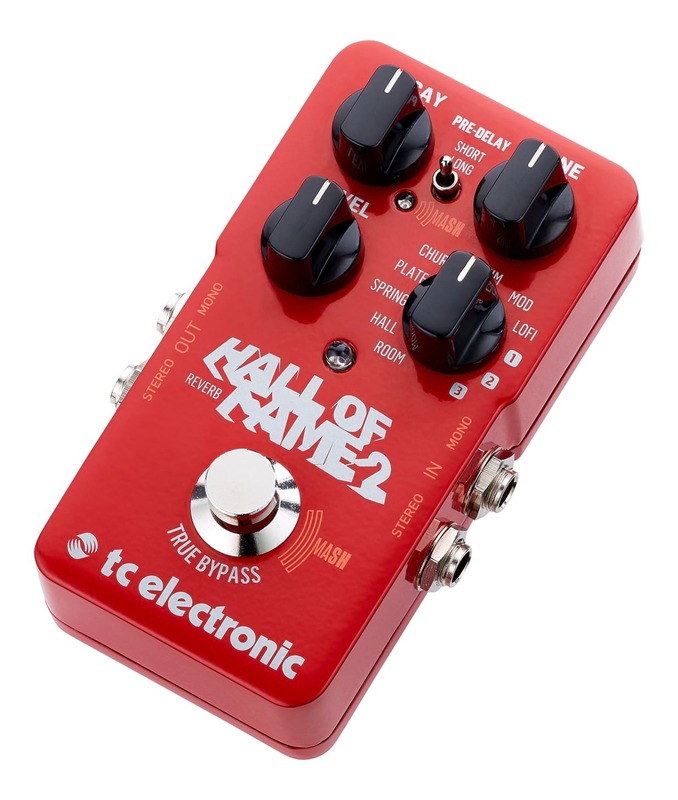 This was the most sought after feature among the original Hall Of Fame users so TC Electronic have delivered a new sound that does not disappoint. Using the state-of-the-art polyphonic octave algorithm from the Sub 'N' Up Octaver the Shimmer preset achieves a hauntingly immaculate shimmering texture. Using MASH, you can push the effect into self-oscillation intuitively by shifting your weight on the pedal. 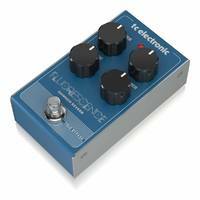 Using TC Electronic's ingenious TonePrint technology you have a slot in the pedal dedicated to whatever kind of reverb you like. You can choose to beam one of our many amazing artist TonePrints to get the reverb tones of Paul Gilbert, Guthrie Govan, Steve Morse and many others, or you can choose to make your very own reverb sound via our free TonePrint editor. It's almost too good to be true, but complete creative control is finally in your hands. I give the Hall of Fame two - 5 stars. 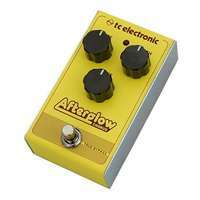 It is the best pedal I have used since I can remember. 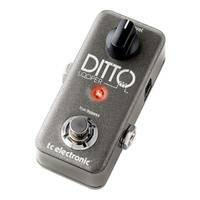 This is a must-have pedal on your pedalboard people grab one quickly as I am sure as word gets around they are going to be very hard to find. 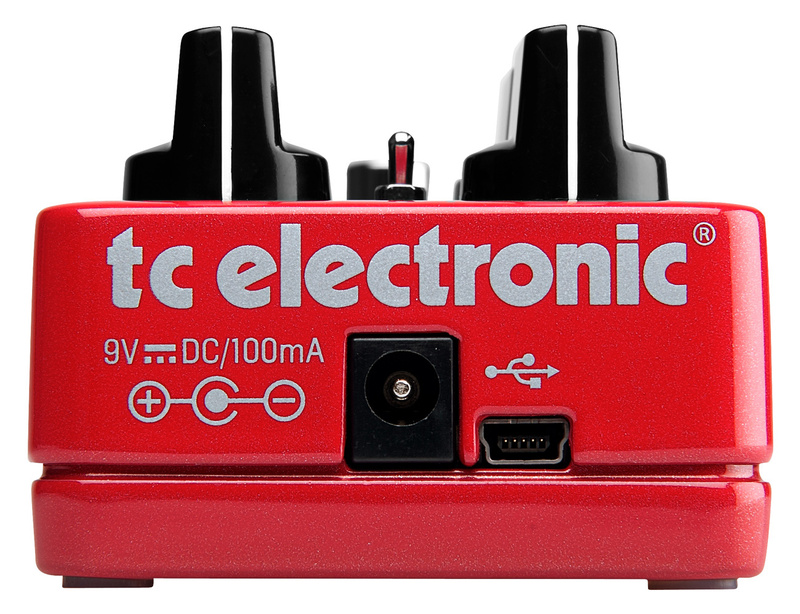 The pedal is very easy to use and find your tone and you can even download tones from the tone print internet site and install it in your pedal. 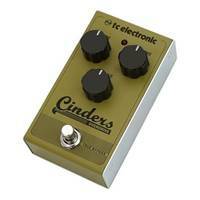 This pedal is insane it has a setting for clean tones to heavy rock. It makes playing seem so effortless. Swamp Industries are always very easy to deal with and get the purchased item to you securely packed very quickly in a matter of a couple of days. Support Swamp Industries they are an Australia Company who sell good gear why would you not buy from them and if for some reason you cannot bond with a guitar or pedal they give you 30 days for a no questions asked full refund - how good is that? 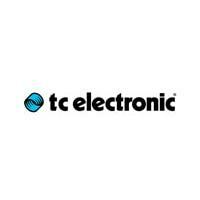 T.C. 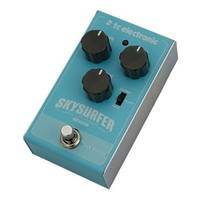 Electronics are really starting to become a must-have pedal set. 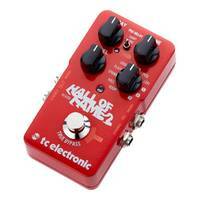 All I can say is grab a Hall of Fame 2 while you can they are a fantastic pedal. I bought this Hall of Fame 2 from Swamp Industries. I have had it a few days. From the moment I plugged this pedal into my VOX AC15, I knew I was onto something special. 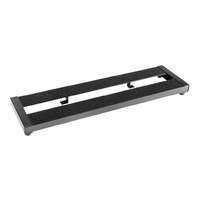 I have a pile of effect pedals and Boss ME-80 Pedalboard and I can honestly say this pedal runs rings around any pedal I have purchased and I have about 30 of them. It turns your tone into something really special. You can also download 3 tones from the Internet at Tone Print which have been put together by Pro Guitars. I could go on all day long about how I connected two amps together using this pedal and other features. All I say is buy one you certainly will not regret it.